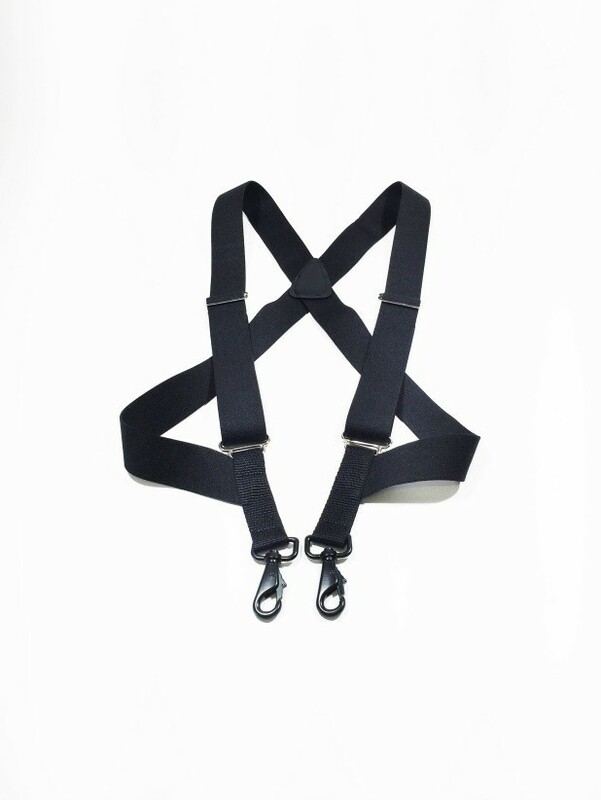 Black 1.5" wide side clip suspenders with metal snap hooks. 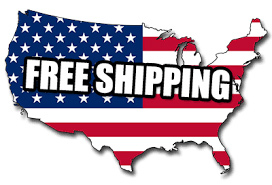 Two Available sizes 42" recommended for 6" tall and below. 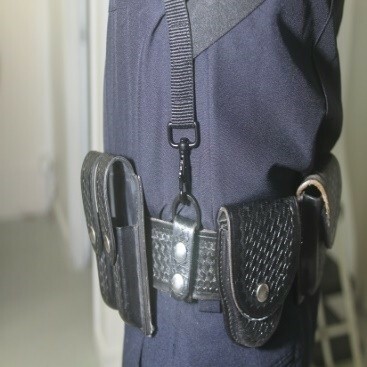 48" recommended for 6' and taller Tactical Duty Belt Undergarment Suspender designed to lighten the load of the Duty Belt gear As a result of the increased weight of the duty belt and gear, many Officers have been experiencing hip and back fatigue and other back and hip related issues. 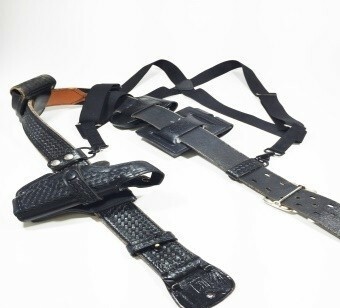 Wesol Distribution has developed the tactical duty belt undergarment suspender designed to alleviate some of the weight. 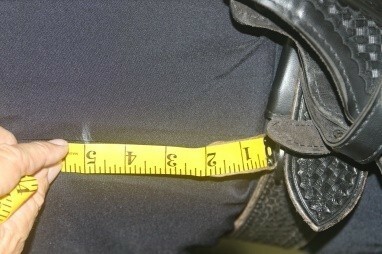 The button holes can be placed on the seam of the shirt or on either side depending on placement of holster and other gear to balance the weight. 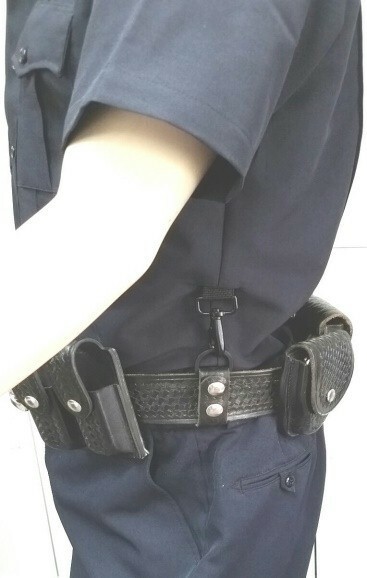 The suspenders are hidden and the hooks blend in with the rest of the duty belt gear. Put the suspenders on over the shirt. 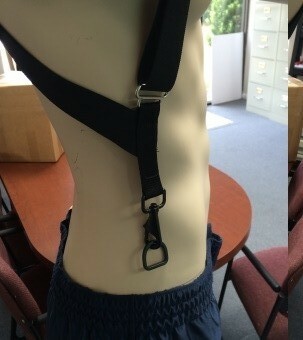 Attach the “D” rings to the belt keeper and the snap hooks attach to the “D” rings. Adjust the straps for best fit to reduce the most weight. Measure above where the snap hook attaches to the D ring and mark on the shirt where the button hole will go. After the button hole is created on each side. 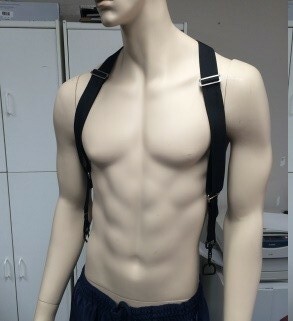 Put the suspender on under the shirt. 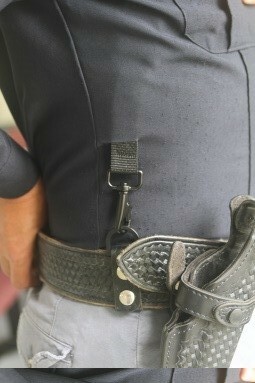 Pull the snap hook through the button hole and attach to the D ring on the duty belt.